You worry about minuscule things and expect a lot from others, but you’re also the kind that gives a lot back. 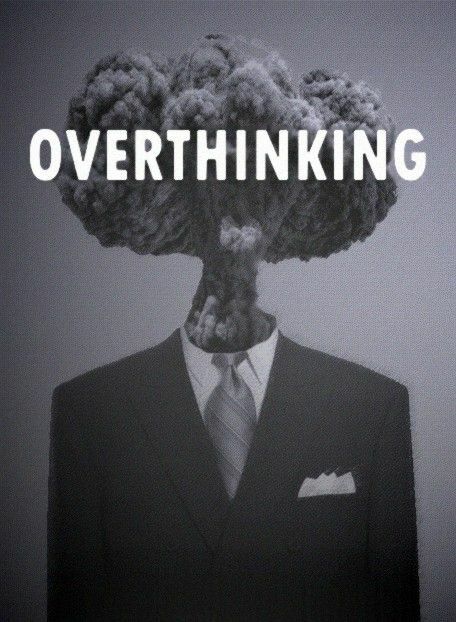 Overthinking takes up most of your time and you find yourself analyzing the same situation over and over again. And research! You research every damn thing and as a result you know quite a lot of useless stuff. Are you one of those people who’s always lost in their own thoughts, thinking about god knows what!? Then you should definitely read our list. 1. You’re stuck living in the past, rethinking every moment of your life. You constantly introspect on what you’ve done and how you behaved in a particular situation and try to determine if you did the right thing, what you could have done differently and how these actions will impact the rest of your life. As a result, you live in your head most of the time. 2. You replay every conversation you’ve ever had, in your head. You think about what the other person has said to you and what it means for you even if the conversation is about something trivial. You cannot help yourself because it’s now become a habit that consumes you. 3. You care way too much about what other people think of you. What you don’t realise is that other people don’t think as much as you and as a result don’t give you that much of a thought but it still bothers you what they might think of you. You care way too much about other people’s opinions when you really shouldn’t! 4. You usually have an opinion about everything. You think way too much so naturally you’ve given deep thought to a lot of stuff and formed opinions about things. So, whenever a topic comes up, you have a compulsive need lot to say about it because you’ve already thought about it and know exactly how you feel. 5. You’re absolutely terrible at making decisions. You need to ask everyone for their opinion before you can go ahead and make a decision. You usually consult your parents and siblings before even making the smallest choices in life. 6. You’re sort of a people pleaser and are constantly trying to make everyone happy. You care a lot about what other people think of you so naturally you’re always trying to please everyone and make them like you. You go out of your way to ensure that no one ever thinks negatively about you but no matter how hard you try, there will always be people who will dislike you. 7. You’re constantly apologizing to people and are always stressed. You’re always stressed because you think you might have done something wrong in a social situation and therefore go out of your way to apologise for mistakes that YOU THINK YOU'VE MADE but no one else has even noticed. 8. You always look for the underlying or hidden meaning in other people’s words and actions. Your first thought after every conversation is ‘what did she really mean?’ But you need to understand that most people don’t really talk in code and just say what’s on their mind. There’s no hidden meaning in their words and actions because they honestly do not have enough time!